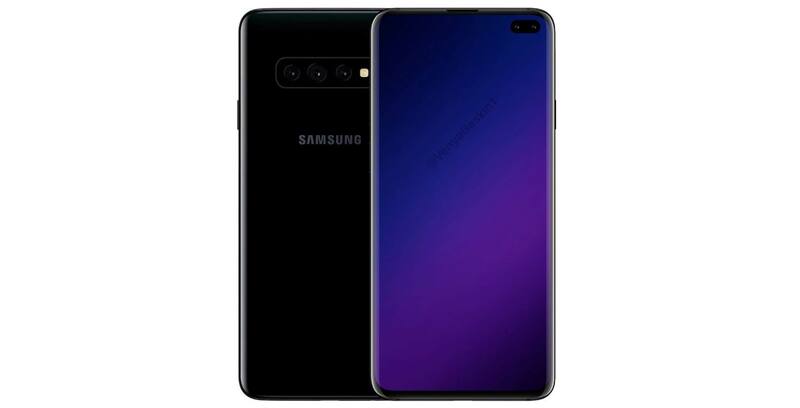 Concept creator Ben Geskin has conceptualized what he expects the Samsung Galaxy S10 and S10+ will look like. With the design seemingly based off yesterday’s leaks, Geskin has designed a rendering of Samsung’s upcoming smartphone. Geskin’s concept shows that Samsung will use the ‘Infinity-O’ display for the smaller S10, similar to what Samsung showed off at its developer’s conference last month. Meanwhile, the larger handset will feature a variation of the Infinity-O display but instead of a circular notch, the phone will use an oval cutout. The following tweet indicated that the S10+ would feature a 6.44-inch Super AMOLED QHD+ display, a triple rear-facing camera, dual selfie shooter, an in-display fingerprint sensor and a 3.5mm headphone jack. Previous rumours indicated that the smaller S10 would feature a 6.1-inch display and a dual-rear facing shooter. Samsung is rumoured to show off four smartphones in 2019; three in February and one larger one at the beginning of Q2. The two shown here are both rumoured to feature a curved display, a region dependent Exynos 9820 processor and an in-display fingerprint scanner.